Feb. 1, 2019 | 3:55 p.m. The Potawatomi Hotel & Casino in Milwaukee is one of about two dozen native gaming casinos in Wisconsin. Dotted across Wisconsin's landscape, Native American casinos are a relatively recent addition to the state's economic and social fabric. In 2017, roughly two dozen casinos brought in $1.23 billion in net revenue for Wisconsin's 11 federally-recognized American Indian nations and tribal communities and paid more than $53 million in fees to the state. But these pillars of tribal economies did not begin operating until the early 1990s, following a long and sometimes contentious legal history involving both the state and federal governments. It's a history that dates back to the 19th century, well before Wisconsin's statehood. At the center of the state's journey toward casinos are an 1832 United States Supreme Court decision and one brief sentence in the original Wisconsin Constitution. The Supreme Court case Worcester v. Georgia considered the state of Georgia's 1832 conviction of a white missionary named Samuel Worcester who had been living within federally-recognized Cherokee territory. He was one of a dozen missionaries convicted of breaking a state criminal statute that required non-American Indians to obtain a license in order to enter native lands. The law was ostensibly meant to keep white settlers from laying claim to Cherokee land, but Worcester, a proponent of tribal sovereignty, contended that the state's law disallowed Indian nations from managing the goings on in their own territories. The Supreme Court agreed with Worcester, and in vacating his conviction established a doctrine of tribal sovereignty that prevails to this day within the U.S.
"I can't stress how important [it] is to understand the concept of tribal sovereignty" in tracing the path toward Wisconsin's tribal casinos, said Jim Oberly, professor of history and American Indian Studies at the University of Wisconsin–Eau Claire. Oberly detailed this long and complicated story in a Nov. 4, 2015, talk recorded for Wisconsin Public Television's University Place. Tribal sovereignty — the principle that Native American nations are not subject to state laws on their sovereign lands — is one of the most important factors leading to casinos in Wisconsin, Oberly said, precisely because state law long forbade gambling in various forms since its founding. Before entering the Union, Wisconsin had to first ratify a state constitution, which it did in 1848. Tucked into its original language, in Article IV, Section 24, were seven words: "the legislature shall never authorize any lottery." By the 1840s, many states that used lotteries to raise revenue were outlawing them due to rampant fraud, and settlers in Wisconsin followed suit. But the state constitution never explicitly spelled out what the framers considered a lottery. Over the next several decades, Wisconsin lawmakers cited the lottery prohibition to ban scratch-off games, betting on horse races, betting on baseball games and eventually betting on all sports, Oberly said. But it wasn't until the mid-20th century that Wisconsin clarified once and for all what it considered a lottery, spurred by fear of a new craze that began during Prohibition. Slot machines remained popular in taverns well beyond the repeal of Prohibition, with estimates of 45,000 slot machines in the state by the end of World War II, Oberly said. Additionally, pinball machines were increasingly popular in soda and malt shops. The rising popularity of these games of chance led to a moral panic of sorts, and Wisconsin's leaders feared that mobsters from Chicago were expanding their criminal networks north via the tavern slots and soda shop pinball machines, Oberly said. So, Wisconsin's governor, attorney general and Legislature worked together to put a stop to the games. The attorney general at the time, John E. Martin, issued an opinion in 1943 declaring slot machines illegal. "He said, 'Go back and look at the constitution, look at Section 24 [of] Article IV: 'the legislature shall never authorize any lottery,'' [and] he gave the definition of a lottery," Oberly said. It marked the first time a definition was spelled out, and there were three defining features: players have to pay a fee, there is an element of chance and winners receive a prize. 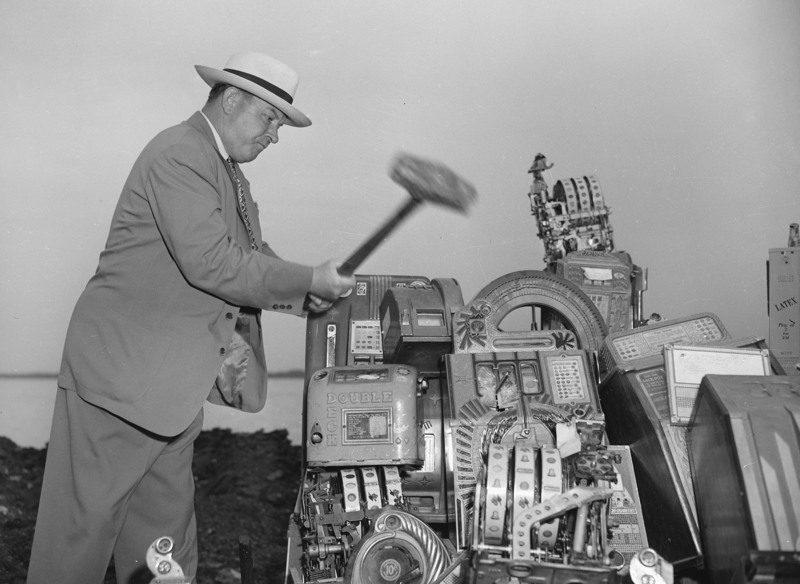 John Roach, director of Wisconsin's beverage and cigarette tax division, uses a sledge hammer to smash illegal slot machines in Madison in 1948. "Any game that has those three elements: pay to play, element of chance, [and] you get a prize if you win, is a lottery," said Oberly. "A slot machine, our attorney general said, was a lottery, and therefore unconstitutional." The governor and Legislature agreed, and in 1945 passed the Thomson Antigambling Law to codify the definition. Pinball was also eventually outlawed based on the newly established legal definition of a lottery. But such state laws were unenforceable on reservations given the doctrine of tribal sovereignty. At least one Wisconsin tribe, the Lac du Flambeau in Vilas County, offered slot machines on its reservation after they were outlawed in the state, Oberly said. But the moral panic and fears about organized crime were held in Washington, D.C. as well, and in 1949 the federal government banned slot machines and other forms of gambling on reservations. 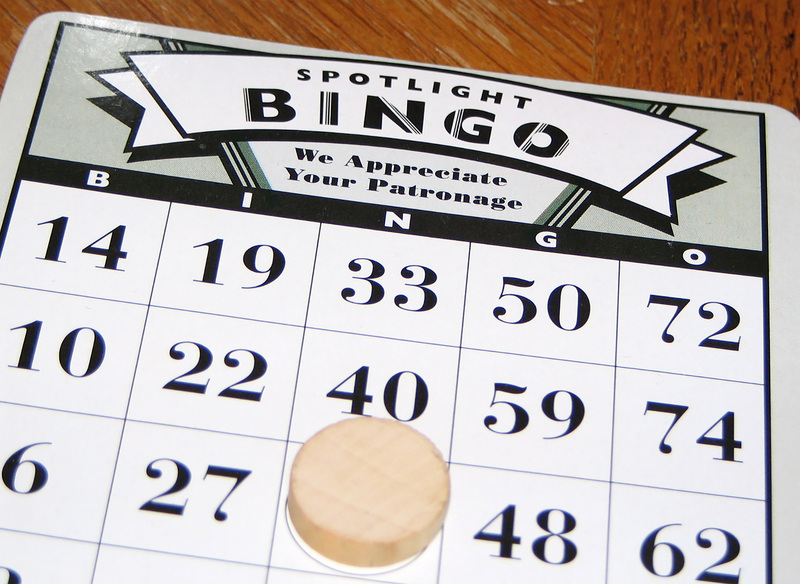 Over the course of the next couple decades, Wisconsin eased its gambling laws, first allowing raffles and then low-stakes bingo for non-profit religious or charitable purposes. Seeing an opportunity, two members of the Oneida Nation, Sandra Ninham and Alma Webster, decided in 1976 to offer high-stakes bingo on their reservation. State authorities soon raided the bingo hall and attempted to shut it down, though. The Oneida Nation took the state to court and in 1981 won, with the judge citing Worcester v. Georgia, the 1832 U.S. Supreme Court case establishing tribal sovereignty. The introduction of bingo at the Oneida Nation of Wisconsin in 1976 helped pave the way for legalized native gaming. By the 1980s, Native American communities around the country were offering various forms of gambling, and conflicts centering on their legality ballooned. This prompted Congress to pass the Indian Gaming Regulatory Act in 1988, which once and for all established the legality of tribal casinos and gambling operations. This federal law was passed soon after Wisconsin relaxed its own gambling laws even further, altering Act IV, Section 24 to allow a statewide lottery and parimutuel betting. But casinos remained illegal in the state. Anticipating a potential economic boon, Wisconsin's 11 American Indian nations and tribal communities approached Gov. Tommy Thompson to begin negotiating terms that would allow them to open casinos on their reservations. The Indian Gaming Regulatory Act required tribal nations and state governors to negotiate in good faith terms for casino deals. This led to one more court case, as Thompson initially refused to negotiate with several tribes until a federal judge ordered him to do so. By 1992, each one of Wisconsin's tribes and nations secured deals to open casinos, and the state's constitution was amended again the following year. Casinos are now an economic juggernaut for several of Wisconsin's tribal communities, though those in less populated areas have drawn in less revenue than those near or in larger population centers. "This has been by far the most successful economic development project for Wisconsin tribes," said Oberly. "It seems like a permanent feature of Wisconsin now." There were no casinos in Wisconsin before the early 1990s. By the 2010s, there were more than two dozen Indian-operated casinos and bingo halls around Wisconsin, which generate about $1 billion in net revenue per year and $50-100 million in fees paid to the state. All of the 11 American Indian nations and tribal communities with territory in Wisconsin have been federally recognized since 1827. Today, every tribe in Wisconsin operates at least one gambling operation. Reservations are the sovereign territory of tribal nations. The 1832 U.S. Supreme Court case, Worcester v. Georgia, culminated in the establishment of this aspect of U.S. law. The decision, penned by Chief Justice John Marshall, held that it is unlawful for states to enforce their laws within tribal territories. The Wisconsin Constitution, established in 1848, included a section declaring that the state legislature "shall never authorize any lottery or grant divorce." The piece pertaining to lotteries was cited by Wisconsin officials in declaring various forms of gambling illegal, from slot machines to betting on sports. Slot machines became popular in Wisconsin's taverns during Prohibition, and remained so until after World War II, when they were outlawed by the state over fears about organized crime. Wisconsin began changing its gambling laws in the 1960s and continued to do so through the 1990s, first allowing raffles, then low-stakes bingo and finally a statewide lottery and parimutuel betting. Casinos remained banned in the state, which offered an opening for economic development on Indian reservations. The Indian Gaming Regulatory Act of 1988 secured the right of Indian nations throughout the nation to operate gambling establishments on their sovereign lands, provided that they negotiate the terms of their operations with governors. Each one of Wisconsin's 11 federally-recognized American Indian nations and tribal communities secured deals with Gov. Tommy Thompson by 1992 to establish casinos. The governor initially did not negotiate with several tribes following an 1989 conflict surrounding spear-fishing treaty rights, but proceeded after a federal court order. 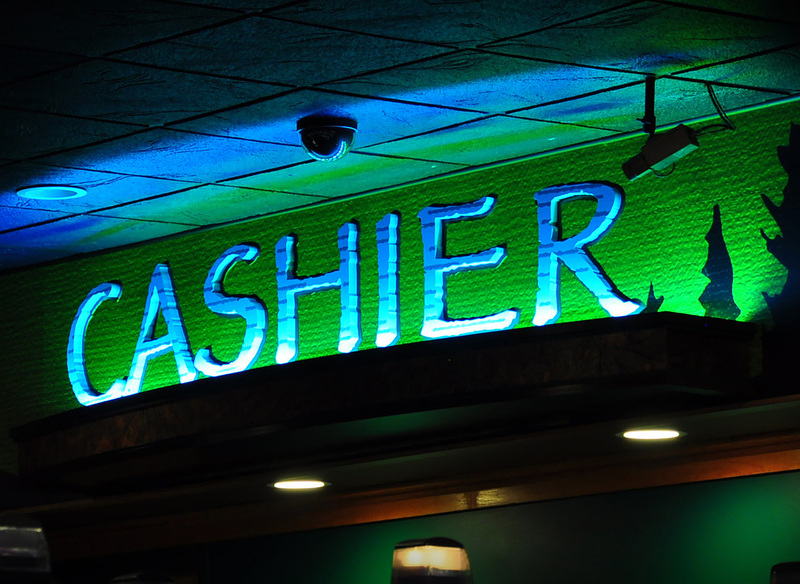 A cashier desk sign illuminates the interior of Lake of the Torches Casino in Lac du Flambeau. On the origin of Wisconsin's long-lived law banning lotteries: "The problem was too often the first cousin, or the brother or the uncle of the lottery managers wound up with the winning ticket … And Wisconsin had seen how many corrupt lotteries there were elsewhere. Wisconsin had seen how many corrupt lotteries there were in New York state, in Pennsylvania … [and] in Massachusetts also. Many of those states had abolished lotteries by the 1830s and 1840s, and the settlers here said, 'What we know of lotteries is they’re corrupt, so we’re going to prevent the legislature from ever doing that.'" On the embrace of slot machines by taverns: "After World War I, reluctantly, Wisconsin went along with Prohibition. Tavern owners desperate to attract customers hit on a newfangled attraction: the slot machine. And they were hugely popular in Wisconsin." Describing the 1940s fear of Chicago crime syndicates in Wisconsin: "The fear was that the mobs, the Outfit, the Capone gang after Prohibition would flood Wisconsin with slot machines, and worse — prepare yourselves — with pinball machines that would corrupt our youth. They would pour their hard-earned nickels into those pinball machines, and the Capone gang would vacuum them up and use them for, oh, purposes too horrible to say. So, our fair state made war on pinball." On how slot machines were banned from Wisconsin reservations: "It was the United States which did have that power to tell Lac du Flambeau's tribal council, 'You cannot offer slot machines' … 'Not because they're illegal in Wisconsin, not because of the state, but because we are the trustee, and we're telling you this is no good for you.' But how interesting that as a matter of economic development the tribal council of Lac du Flambeau said, 'This is something that we could get into. We could operate these and regulate these and be successful.'" On Sandra Ninham and Alma Webster, two members of the Oneida Nation who offered high-stakes bingo on their reservation: "They opened up the first high-stakes bingo game in this state in 1976 at the Irene Moore Center on the reservation. And there still is bingo 40 years later. It still has a devoted group of players. But this was an attempt to make money for the tribe." What Is Vaccine Refusal And What's Its Effect On Public Health?